Last month I wrote about God bringing my attention to a special song to share about His Mercy in the post You're Not Guilty Anymore. A Gift of the Spirit. Gifts of the Spirit are given to believers. Mercy is extended to everyone. Even to the people who have not accepted His Salvation, God has extended His Mercy. Even to those who never accepted His Salvation, God gave them the chance to receive His Mercy. The Fruit of the Spirit is the result in believers of walking in the Spirit of God. Mercy is not listed as a fruit of the Spirit in the Bible but rather it is one of the attributes of God it is part of His character. As we grow and the fruit of the Spirit is produced in our lives then we will become more like Jesus and more merciful in our character because all the fruit of the Spirit are expressed when in a merciful character. 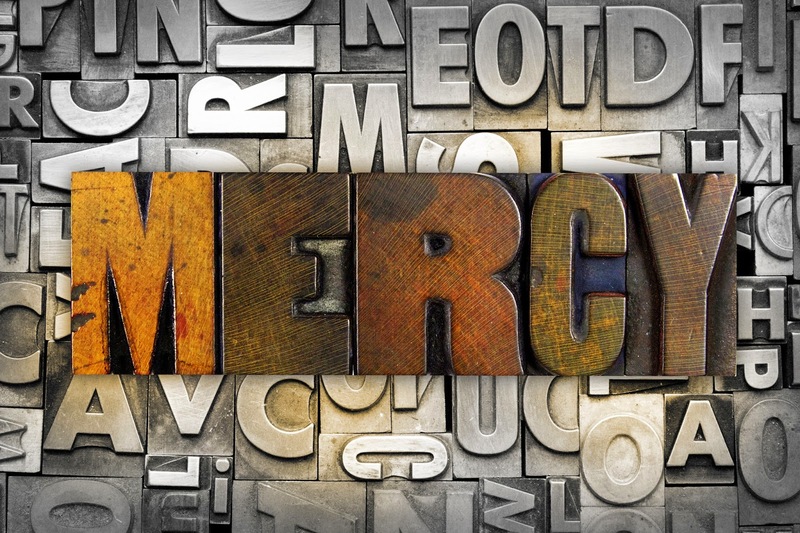 Mercy is freely given by God, not something we have to (or can) earn by how good we are or how much we do. God not treating us as we deserve to be treated. We are so used to being rewarded, commended, praised or punished, rejected, attacked, condemned for our actions and words that we just naturally expect God to react to everything as others do. He is not like other people. meeting out the punishment we really do deserve to get. Shown in the form of several things. There are many things that we could list here that would form part of His mercy like love, cleansing, forgiveness, and acceptance. They are the ways we should recognise His Mercy. It is like our mother heart for our children, we do not always punish wrong doing, we talk to them in love and explain things to them and show them the right way. We are actually setting them examples of the type of God's Mercy. A Lifter of depression and oppression. It is God's hand on us. If He turned away from us when we disobeyed or didn't follow Him then His hand would not be on us and if His hand is not on us then the hand of Satan would be on us. So each day when God's hand is on us we are receiving His Mercy in keeping the hand of the enemy from us even when we don't realise that is happening. This means that Satan is hindered from continually oppressing our minds and bringing depression upon us. Jonah did not think the Ninevites merited the patience God was showing them and the second chance He was willing to give them because he did not understand what mercy was. Even though he then disobeyed God and ran in the opposite direction God preserved his life, God showed him mercy. Jonah did not have a merciful heart toward the people of Ninevah until he himself had fully experienced the mercy of God. Even if we start out like Jonah we can also learn to recognise God's mercy toward us and in turn be merciful toward others. This reminds me of one of my favorite verses on mercy, Sandra, "... May your mercy come quickly to meet us, for we are in desperate need" Psalm 70:8. I love any post that unpacks mercy, since it is such an essential to godly living and yet the attitude is so very hard to maintain--especially when we're trying to drum it up ourselves. Thanks for this insightful post! Yes Beth the attitude bit is in my mind for one of my further posts, important part. Oh yes! It doesn't matter where we've come from. Mercy is extended to everyone. What a loving God. So thankful for the offering of a substitute in my life. Mercy is mine! Interesting post, Sandra. I completely agree that Mercy from God is extended to everyone-- however I disagree that you say it isn't a gift of the spirit. I was referring here to the 9 gifts of the Spirit but you are also ahead of me too Sharita as I'm thinking on the rest of my posts on Mercy, so I think we will probably agree in the end. This is such a light reflecting post. Thank you for sharing it. Elizabeth it is nice to meet you. Thanks for the kind words. This is lovely. Such a wonderful reminder. In a world where nothing in life is free, mercy is difficult to get our minds wrapped around! It takes reminder after reminder, meditation and confirmation in the Word. Thanks so much for adding the exclamation point this morning! We don't deserve God's sacrifice for us. I appreciate your moving post. Thank you.